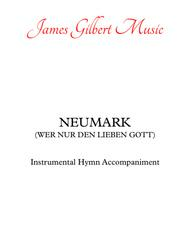 Composed by Georg Neumark. Arranged by James Gilbert. Christian, Sacred, Praise & Worship, General Worship. Score, Set of Parts. 25 pages. Published by James Gilbert Music (S0.100347). 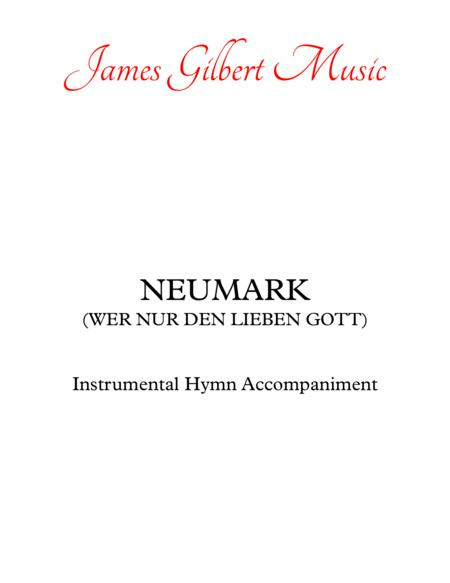 WER NUR DEN LIEBEN GOTT or NEUMARK (Abide With Us The Day Is Waning; If You Will Only Let God Guide You or If Thou But Suffer God To Guide You). An instrumental hymn accompaniment of this hymn tune. This is designed to be played by any combination of instruments. Parts provided for C, Bb, Eb, F, Alto Clef and Keyboard instruments.